Here is a selection of my paintings and images for your to reflect and meditate on. Note any emotions that surface and consider their significance. 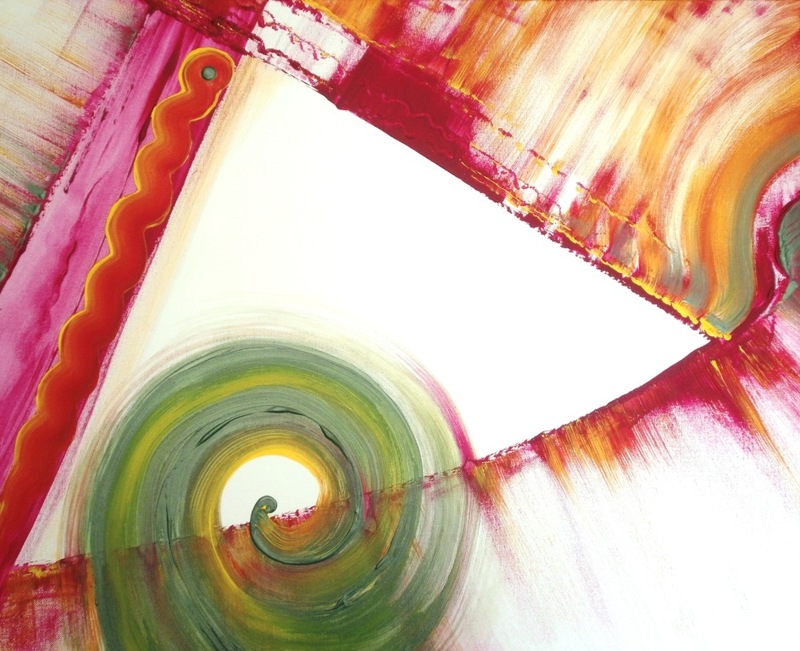 Beside each painting is a poem by Liz Everett, her way of 'painting' insights into reality and spirituality. For more information on using art for meditative purposes go to my Artist page. Your window onto reality is triangular and outlined by your eyes. Outside your body is a colourful, vibrant world. How do others see you when peering through the window of your eyes, into your inner world, your mind and soul? And if I stay in my comfort zone, my wings will never grow. I hesitate it's not too late for my fate to show. Each step I take will make my fire grow. If I get stuck, how will I ever know. Imagine this picture as a spiral from the finer, lighter vibrations down into slower, denser forms. It is depicting the decision to ‘materialize’ into physical form for a reason.